TRMF Business Memberships include philanthropic support for TRMF and major perks for members and their employees. 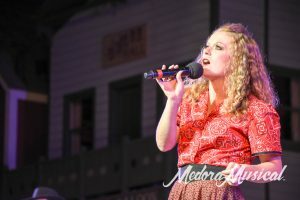 TRMF business members get transferrable Medora Musical season passes to use for employees or to treat your most-valued customers and clients – and Business Memberships are customizable so organizations can pick the right number of season passes for their team. 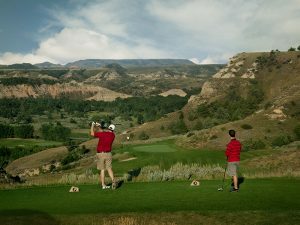 Business Members also receive four individual rounds of golf at Bully Pulpit – named one of the Top 100 Public Courses in America. Plus, members are recognized in TRMF and Medora Musical publications. Annual Members have been the bedrock of TRMF support since 1986, with the Business specific Membership now in its fourth year. The amazingly valuable support from members allows TRMF to continue to carry out the dreams and vision of Harold and Sheila Schafer, to connect people to Medora for positive, life-changing experiences. Connect your business to the mission that keeps families from around the nation enjoying one of North Dakota’s most special places. Businesses can easily become a member online at Medora.com/Give and start utilizing their perks within days.